A local troop set up their booth in a Centennial liquor store and used alcohol-cookie pairings as a way to entice people to buy. KUSA - Thin mints and a Syrah or chocolate stout. Samoas and whiskey or brown ale. Tagalongs and Cabernet Sauvignon. 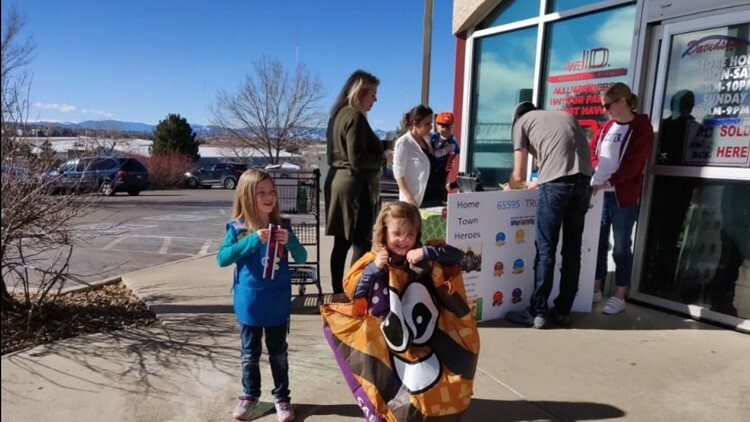 Those are just a few of the Girl Scout cookie pairings Troop 55-95 came up with to sell boxes at a Centennial liquor store last Sunday. "Somehow it dawned on me that the Super Bowl was Feb. 4, so I called a local liquor store and said, 'Can we do a booth?' said Troop Leader Terry Shaffer. And that's exactly what the troop did, selling close to 250 boxes -- an average of 60 an hour. 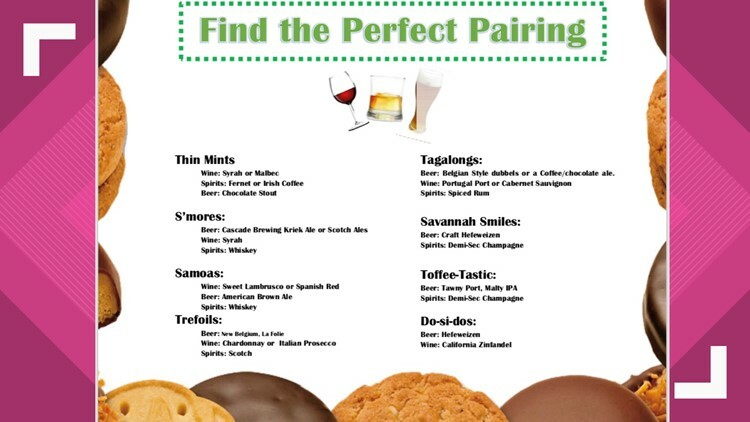 Kelly Watson, the troop's treasurer, said the troop researched Pinterest to make a chart on alcohol-cookie pairings. "We found a bunch of different sites and kind of compiled like a beer, a wine and just hard alcohol that would pair with everything so we could try and chase down the people as they left the liquor store, tell them what paired well with what and see if we could get any more sales," Watson said. Watson added that Girl Scouts troops often find more creative ways to sell cookies these days. "It’s an intense world, the Girl Scout cookie sale," Watson said. 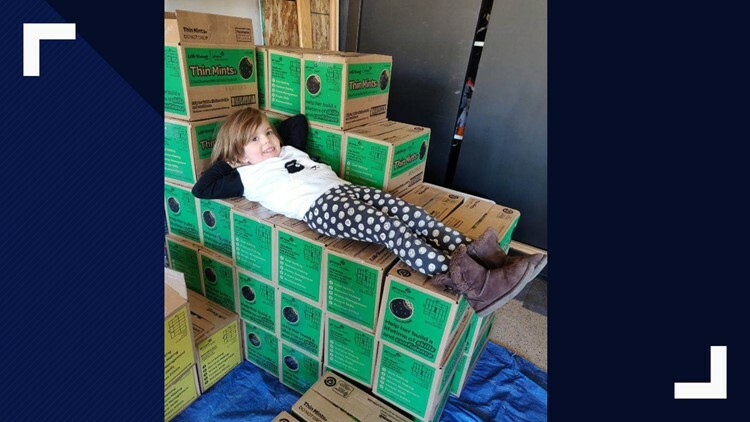 More than 1 million Girl Scouts sell about 200 million boxes of cookies each selling season -- generating about $800 million in sales, according to USA Today. > Click/tap here to find a cookie booth near you. Watson said the idea of selling cookies at a liquor store was to differentiate her troop from the rest. "Just looking for some way, anything, that could differentiate us from anyone else and encourage people to buy more cookies," she said. Shaffer said the troop also plans to sell at a few college campuses and light rail stations this selling season, which typically runs from January 2 to March 10. The troop will use the money it earns to fund a party and pay for uniforms and patches. "Our whole goal is to alleviate some of the costs for parents so that we can, you know, have pizza parties and nobody has to pay for it," Shaffer said. Girl Scouts of America on its website says the Thin Mint is the top-selling cookie -- that's the one that goes best with a Syrah -- or a milk stout -- your choice.